Nearly everyone loves chocolate, and a candy bar can be just what you need to pick up your spirits and make someone smile. Candy bar fundraisers are perhaps the most popular fundraiser around, and that’s because they’re pretty easy to put on for all ages and all organizations. You can earn a good profit, too! These are hosted as an on-hand sale, and the candy comes in handy carrying cases for your participants. Chocolate is a perennial favorite for fundraising. This feel good treat is available in many forms for fundraising from the traditional on-hand sale of chocolate bars to luxury gift boxes of gourmet boxes. This easy to hold fundraiser allows your organization to to make great profits no matter which product you choose to sell. Indulge your donor's sweet tooth in a nice bit of chocolate and they are sure to seek you out for more in the future. In your efforts to raise money for your organization the chances are you have at some point already held a candy bar fundraiser. And for good reason as chocolate and candy bars are a very easy and popular fundraiser. With this in mind instead of selling regular candy bars for your next fundraiser why not indulge your donor's sweet tooth and try a gourmet chocolate fundraiser. Although a little more expensive than a regular candy bar, a box of chocolates will make the perfect gift for any occasion. 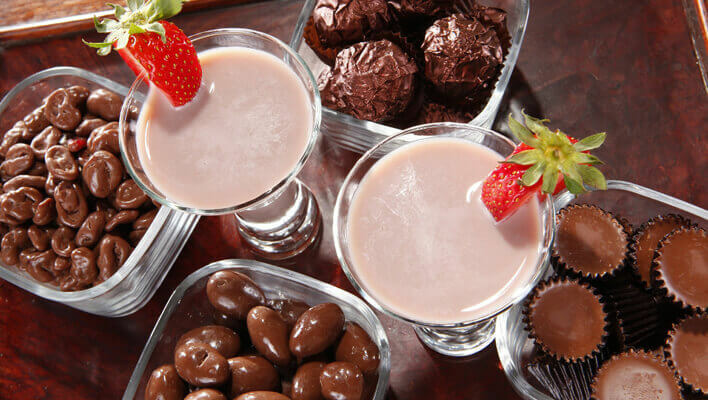 You will be able to find gourmet chocolates in many varieties from decadent truffles and cordials to the finest in dark Belgian chocolate and chocolate made with fair trade cocoa. Just remember to try and keep the kids away from the good stuff! Depending on the type of chocolates you are looking to sell this will generally determine on how this fundraiser will be run. If you are selling chocolate bars or small packages of chocolates then you will want to hold on-hand sales, which will mean you will have to place an order for the chocolates and then sell them. Although this will require you to pay up-front for the chocolates it has the advantage that in your donors will be able to see the product and be more than likely to dip into their pockets. With this kind of sale you are looking to make quick sales from what people will probably carry in change so don't overprice yourself. If you are selling larger gift boxes of luxury chocolates and truffles then, because of the increase in price, it will make more sense to hold a brochure fundraiser. Here you will pass out catalogs so that your donors can chose what they want. Then you will collect all the orders and place a large order for all items with the chocolate fundraising company you have chosen. Deciding on the type of chocolates you want to sell can be the hardest part to your fundraiser. Selling bars of chocolate for on-hand sales will require a sales force you will need to keep motivated about selling. Also if you are selling a gourmet chocolate bar it may be priced a little higher than a regular candy bar. So your team may have to be a little more persuasive and extol the virtues of quality chocolate. Boxes of chocolate make a great gift so timing your fundraiser with holidays makes great sense. Make sure your get your chocolate fundraising brochures out in good time and the orders are all delivered a few days before the big a event. A big box of chocolates for Valentines day is great gesture as long as it's not two weeks too late! Whenever you sell items from a brochure the pricing is already set so the amount of profit you make will depend on the company you choose and the amount you can sell. Like most types of fundraisers the more you sell the more you like make. With on-hand sells you will have the ability set your own price and could earn anywhere from 50% – 200%. Just remember that a lot of other groups will be selling chocolate so it's important not to price yourself out of the market. Selling boxes of chocolate from a brochure will already have a set price but profits are generally between 40% -50%. Be sure to check with the company to know how much you can make in profits. Everyone loves chocolate which makes is a fairly easy sell and for this reason alone a chocolate fundraiser has more pros than cons. You can sell chocolate multiples time during a year and do each well each fundraiser. The small size of chocolate bars makes them highly portable giving you the ability to sell them anywhere. Checking with local stores and malls to see they will let you set up a stall to sell your chocolate bars is a great way to take your fundraising efforts out into the community. Boxes of chocolates make a great gift for friends, family and loved ones. There are however a few disadvantages to chocolate fundraisers. Chocolate needs to be stored in cool, dry and dark place. Not only will chocolate easily melt exposure to high temperatures can cause the chocolate to “bloom”. This is when the cocoa butter rises to the surface of the chocolate and makes the chocolate look unsightly, although it's still fine to eat. Selling boxes of chocolate can be tough if you don't sell then around a holiday times. Unlike a chocolate bar people are not likely to purchase a box of chocolates on a whim. Since they make a great gift boxes, they will be more suited to holidays like Valentines Day, Christmas, Mother's Day and Easter.